Declan Rice became the first West Ham United player to represent England for two years tonight when he featured as a second half substitute against the Czech Republic. 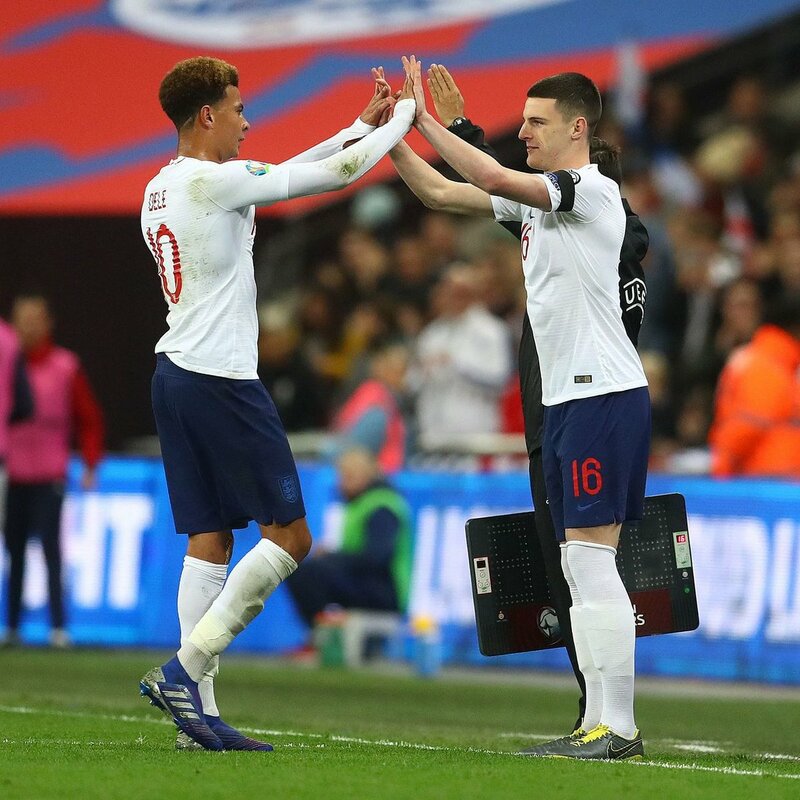 Gareth Southgate's young team destroyed the Czech's with a fine display at Wembley, running out 5-0 winners in a particularly one-sided Euro 2020 qualifier. And Rice featured from the 63rd minute onwards when replacing Tottenham's Dele Alli with the score at 3-0 - following which Raheem Sterling and a Tomas Kalas own goal combined to give England their emphatic victory. "I’m really happy," he told West Ham TV. "To make my debut here tonight in front of 80,000 fans and to have my family and girlfriend here, it’s special. To get the victory as well - it’s a special night. "I just wanted to go on and steady the ship. I was lucky enough to have [Jordan] Henderson and [Ross] Barkley next to me. It was really good. I probably won’t think about it for a couple of days and then it will hit me." The 20-year-old midfielder's chances of featuring against Montenegro in England's second Euro 2020 qualifier this week rose tonight following the news that Tottenham's Eric Dier - who was selected to start ahead of Rice against the Czech Republic - will definitely miss out on Monday's encounter through injury. But for now, Rice is just happy to have finally made his entrance on the international stage in an England shirt. "This week has been crazy. It’s been surreal to be honest," he said. "I knew I’d be coming in to a great camp, with a great manager and great players. Training has been good and the standards are very, very high. "Coming to the game tonight, my first time with England at Wembley, it’s a special moment. To get out on the field for half-an-hour was the icing on the cake." £50 for a friendly? What happened to affordable football?